Building managers and leasing agents looking to save money should examine their window treatments. Often overlooked in updating space for new leasing, window treatments can save money and make a big impact on the space. 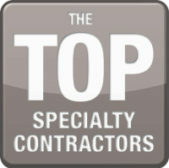 When it comes to window treatments time is money. The longer you plan to own or manage a building, the more money you will save with the installation of energy-efficient solar shade solutions in place of dusty old mini-blinds as well as the most visible update to differentiate the space in a positive way. Window Interiors, based in Altamonte Springs, is an industry leader in window treatment solutions for all types of commercial buildings. The company’s growth is fueled by the turnaround in the commercial building industry including high rise, multi-family, office space and hospitality updates, says company founder Sandra Saft. Saft, whose company is celebrating more than 25 years in business, was an early pioneer in the use of solar shades. Solar shades effectively block the heat of the sun, yet still let in natural light. Building managers can select what percentage of natural light they want in any given room. The long-term cost savings of solar shades versus traditional blinds can be upwards of 20%, save valuable maintenance service time and last for many years. 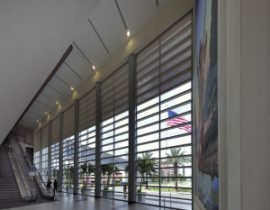 Saft mentions that motorized shades systems installed over 25 years ago in an office tower in Orlando are still functioning. The new technology of interfacing with the lighting controls is the bonus and Window Interiors can assist with it. 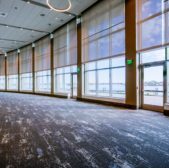 Window Interiors has worked on thousands of projects across the state and national accounts, including healthcare, restaurant groups, resorts and public buildings. Recent projects include: Orlando’s Dr. Phillips Performing Arts Center, Patrick Air Force Base, Florida Hospital and the award-winning Nemours Children’s Hospital. The company also has a growing national program.